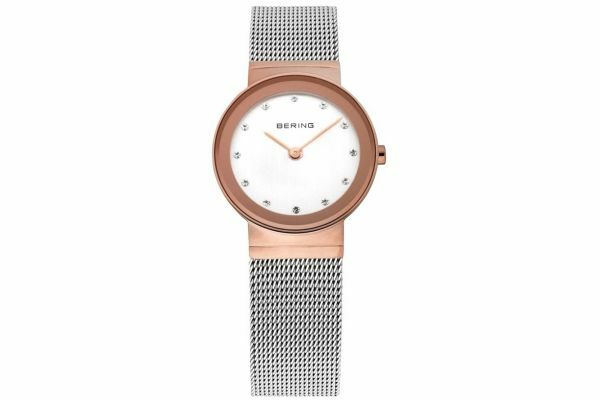 Ladies Bering stainless steel rose gold plated Milanese styled watch with a round polished case. Has a silver sunray dial with silver hands and swarovski crystal set indexes. Features a stainless steel Milanese styled bracelet. Powered by a quartz movement and comes with the Bering 3 year guarantee.